Clinic Synopsis: How often do you hear, “It sounded better at home?” Become aware of patterns of thinking that hamper you from performing your best--when it counts. Learn self-talk strategies and creative visualization exercises that make performing more enjoyable and rewarding. Learn to channel the physical, mental, and emotional energies that performing in front of an audience brings out. Above all, learn how to share your artistry and your music, comfortably, and with conviction, with your audience. Clinician Biographical Information “The kind of performance that sparks wild standing ovations. 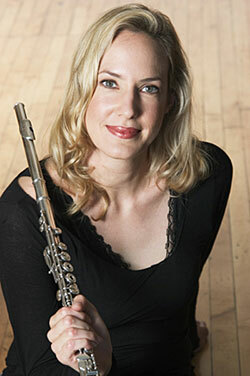 Definitive” raves the American Record Guide of flutist Linda Chatterton. A Yamaha Performing Artist, Ms. Chatterton has toured throughout much of the country and in Europe. She has performed at Carnegie and Alice Tully Halls, was a featured recitalist on the Dame Myra Hess series in Chicago, and has been heard throughout the US on National Public Radio. Among her awards are two McKnight Artist Fellowships and grants from the Jerome Foundation, the MN State Arts Board and the American Composers Forum. She is in high demand as a master class presenter and teacher and can often be heard giving her motivational presentation “It Sounded Better at Home” based on her extensive work on the psychology of optimum performance. “It Sounded Better at Home” will be available as a book in 2011. She holds degrees from Eastman and the U of MN.